I grew up a searcher. From an early age, I can remember desiring a more complete answer to life’s more puzzling questions. Sure everyone knows we have to grow up, find a way to make a living, take care of our kids, and seek a better world. But there were larger questions and no one was talking about them: Why are we here in this life in the first place? And why is life, at times, so hard? As I realized later, my home environment was Synchronistic to my search for an answer to these questions. We didn’t have much money, but we had something better- enough land to have a sort of homestead, with gardens and food stock, lots of trees, pastures, and overlook mountains. I can tell you with certainly, growing up in the South during the Civil Rights era awakened my advocacy for positive social action. My father, being from California put me on the correct side of that issue. Dad was an art teacher who struggled with some PTSD after World War II, and he valued the arts, especially writing. Not that I knew anything about Synchronicity back then or had any dreams of writing. Those ideas came to me when I was older. As an older adolescent, I just kept asking questions about how to pursue life. I was beginning to find some answers given by religion and academic philosophy, but they seemed too intellectually abstract and incomplete. I knew, the truth I was searching for, might not be simple, but it had to be clear…and concrete enough to put into action personally. Early on, some part of me believed this knowledge existed, yet rebelliousness hampered my adolescent life. Confusion sent me through phases of challenging the rules, and took me very close to dire consequences. I often pacified myself with various distractions and a defended aloofness (characteristic of the 5 in Enneagram terminology). I often went through alternating periods of frustrated self-isolation and deep research. This idea taught us that humans are not reaching their true potential and fulfillment, and gave a name to my inner sense: there was more to life than we have fully discovered. It was an exciting time for me. I studied all the traditional expressions of human potential: Eastern and Western Mysticism, Humanistic Psychology, and Meditation, just to name a few. As I continued my education searching for the truth, I found each area of research much too theoretical and abstract. Though lacking my clear direction, I went on to graduate the University with an advanced degree and years of profound experiences. My college education, though enlightening, left me wanting a straight explanation and this further engaged my need to develop a study designed from authentic experience. It was this break-through that led me to realize a higher calling. 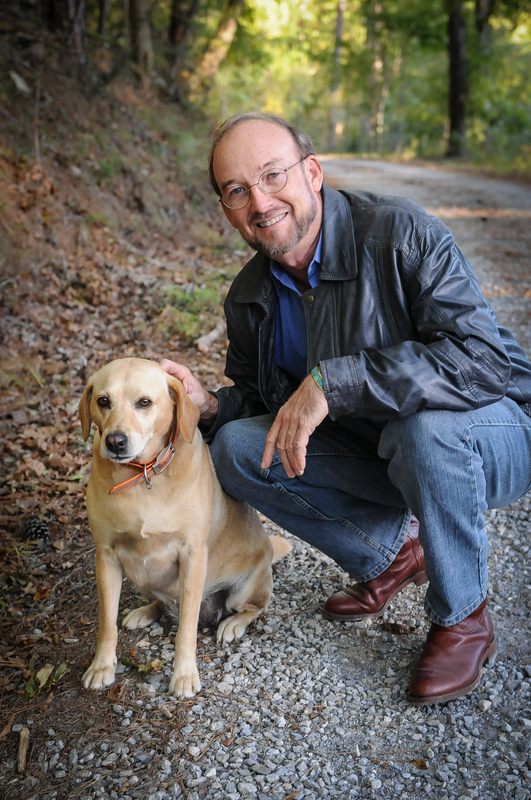 I began a career as a therapist, hoping for continued growth through experimental studies. Now I was ready to put my findings into writing. And rather than write one more academic book, I decided to use the structure of the novel. I decided it more powerful to show the occurrence of real spiritual shifts in consciousness with an engaging character’s journey. I hoped people might relate to him by realizing the similarity of these events to what they were experiencing at the same time in their lives. The result was THE CELESTINE PROPHECY. The book that began the discussion of nine spiritual experiences or Insights, each of us seemed to be discovering in mass. It was during this time, Synchronistically I was introduced to Salle. Immediately, she brought new and exciting ideas to my life including how she believed the book could be released to the world. We found a deep spiritual connection and soon married in her mother’s home, happy to start a life together. Through a series of incredible Synchronicities, we decided to self-published The Celestine Prophecy. All packed up in my Honda Accord with hundred’s of books; we set out on an adventure traveling the US, giving away to bookstores as we were passing through. Over time, we watched in amazement as our process fueled a pass-a-long effect that exploded all over the country. In the book that followed by THE SECRET OF SHAMBHALA, I argued, yet another breakthrough was taking us into an even higher level of recognition: an Eleventh Insight. Written at beginning of a new decade( 2000s), this Insight added another expansion of the Mind. Furthermore, by getting into alignment with this design you set the stage for the complete integration of all these steps into a sustained higher consciousness that works automatically. This last Insight, I have to say, brings this story to the present and leaves me so excited as I hope for our future. Think about where we are… In this new era, we are developing the capability to download the highest form of our spiritual intelligence. We are learning to operate every day guided by the Divine part of ourselves. Trusting our Intuitions and following Synchronicity will in turn lead us to find who we are and where we want to go. Further, as we develop these abilities, we will find our personal mission as it reaches towards impacting a better world. 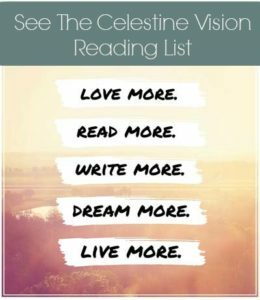 We’ve tried our best to set up CELESTINEVISION.COM to give you specific additional information that will enhance your spiritual life.